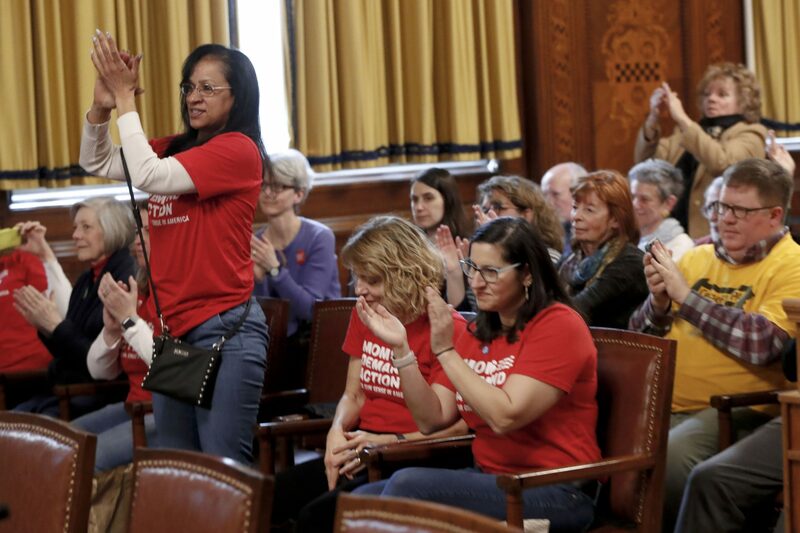 Supporters applaud after the Pittsburgh city council voted 6-3 to pass gun-control legislation in the Pittsburgh City Council meeting, Tuesday, April 2, 2019, in Pittsburgh. Pittsburgh City Council voted 6-3 in favor of gun legislation Tuesday. Hours later, the National Rifle Association Institute for Legislative Action said that Pittsburgh residents had filed a lawsuit challenging the ban on publicly carrying loaded magazines that hold more than 10 rounds of ammunition — although the NRA later said the announcement was premature and it would sue after the legislation was signed. The legislation places restrictions on military-style assault weapons and allows the temporary seizure of guns from people considered a danger to themselves or others, according to WESA’s Ariel Worthy. The vote comes following the October shooting at the Tree of Life Synagogue — described as the deadliest attack against the Jewish community in the United States. Meanwhile, members of Moms Demand Action plan to be in the state Capitol on Monday to advocate for Extreme Risk Protection Order legislation. 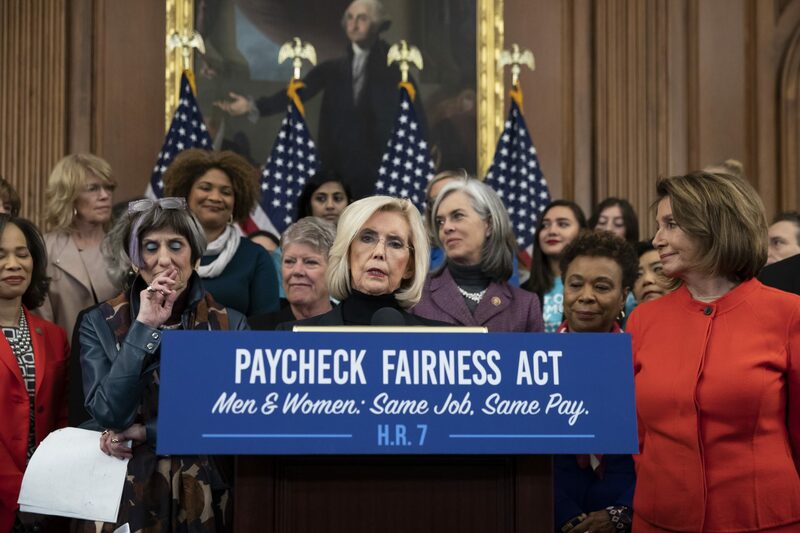 Lilly Ledbetter, center, an activist for workplace equality, speaks at an event to advocate for the Paycheck Fairness Act on the 10th anniversary of President Barack Obama signing the Lilly Ledbetter Fair Pay Act, at the Capitol in Washington, Wednesday, Jan. 30, 2019. Philly.com’s Anna Orso took a look at what lawmakers in Pennsylvania, New Jersey and elsewhere are doing to address pay inequity between men and women. U.S. Rep. Brian Fitzpatrick of Bucks County was one of seven Republicans who joined Democrats to vote in favor of the Paycheck Fairness Act, which passed the House last week. President Donald Trump wants people to say whether they are U.S. citizens when they respond to the 2020 census. Democratic Gov. Tom Wolf’s administration has concerns, as WITF’s Katie Meyer explains. A special election took place Tuesday for a state Senate seat in the Pittsburgh suburbs. The AP’s Marc Levy laid out the stakes, saying it is an “election that some see as an early test of President Donald Trump’s strength in a critical battleground ahead of 2020.” Democrat Pam Iovino won.